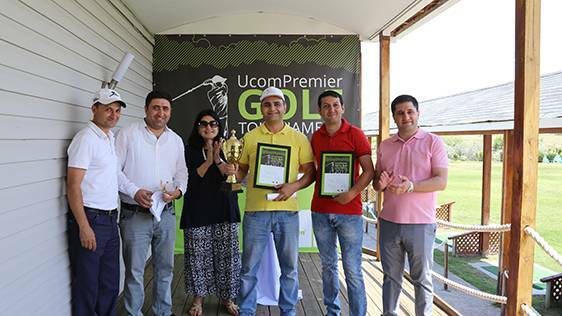 From May 27 to June 18 Ucom jointly with “Ararat” Golf Club have organized a special Golf Tournament for UcomPremier customers. 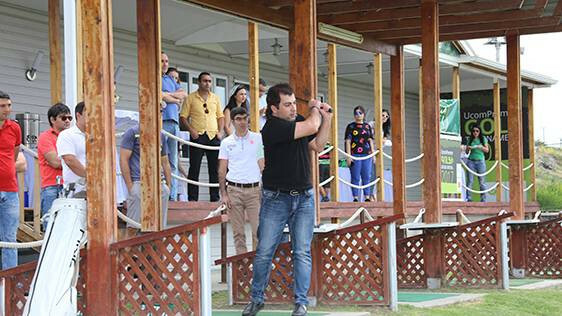 Davit Ohanyan has been recognized the winner of tournament and got a chance to be present in “Open de France” International Golf Tournament to be held in France from June 29 to July 2. “My thanks to Ucom for this prize. After only 6-7 classes I came to try myself in this sport and I succeeded. It’ll be my first trip to France,” – said the winner UcomPremier customer Davit Ohanyan. Every weekend 11 UcomPremier customers, having reached the semifinals, have trained to play with honor in the final round, which made all the participants to once again put forth last efforts, recall what they have learnt and use all the energy and display their golf playing skills. 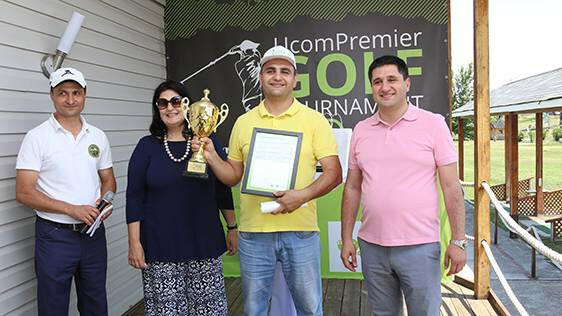 “This tournament is the illustration of our gratitude to our Premier customers, who comply with certain criteria and use Ucom mobile services for 12 months in a row,” - said Aram Barseghyan, Commercial Director at Ucom. The top three winners have been awarded a 1-month “gold membership” by “Ararat” Golf Club. The second place winner Albert Sargsyan got a Huawei P10 smartphone from Ucom. “I’d like to once again express our special thanks to our loyal and very important customers for using Ucom services and congratulate the winner on his success. I think that Open de France is a memorable prize and much different from other prizes. Suchlike tournaments will be ongoing, and we’ll make efforts to strengthen our customers’ trust in Ucom,” - said Hayk Yesayan, Director General at Ucom. Let us remind that the aim of UcomPremier program is to give exclusive attention to the most loyal Ucom customers, who have been with Ucom for more than 12 months and have been always using Ucom voice and mobile internet services. UcomPremier customers benefit from a series of advantages when using Ucom services and when getting consultation or service at Ucom, as well as enjoy a number of exclusive benefits offered by Ucom partners.